...WITH YOUR HELP WE CAN MEET THE NEEDS!!! The Lord said to "Love Your Neighbor"
We LOVE LOTS OF NEIGHBORS!! 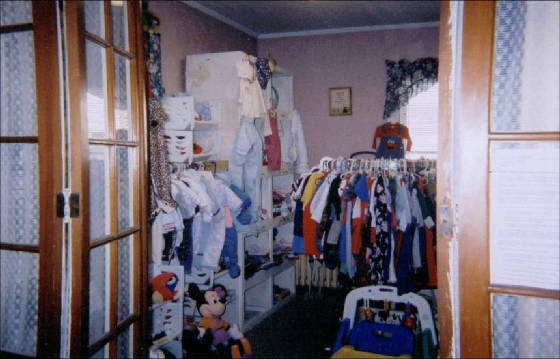 INFANT & CHILDRENS ITEMS ARE OUR FOCUS! 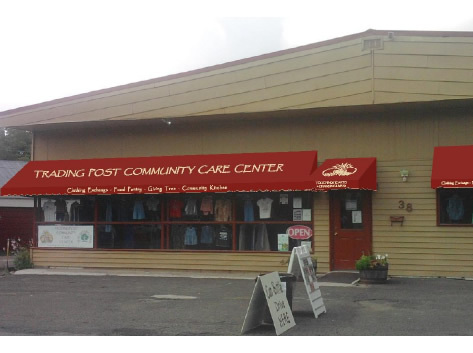 The Trading Post which is located at 38 Franklin St. in Springville, is a store atmosphere, where families are able to come in to access, trade, or purchase gently used clothing, infant, and houshold necessity items. 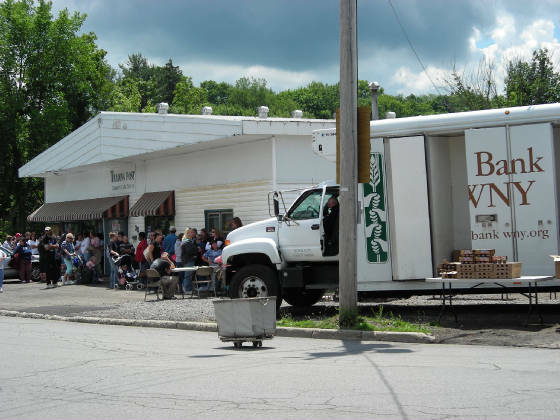 We also operate a weekly food distribution program that assists families to help stretch their food budgets. We currently assist an average of 250 families per month with food and countless others with their clothing and household needs. Pray about it and see if God would lead you to help us by way of a contribution. 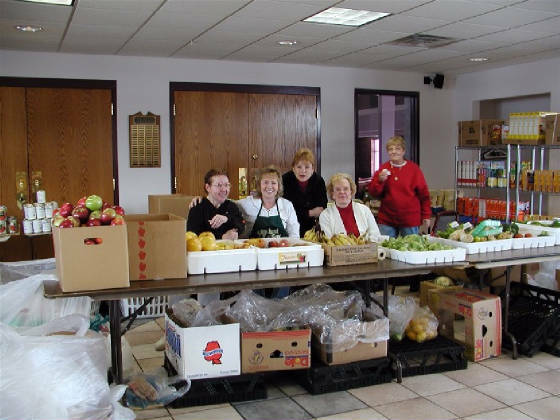 We assist over 250 families per month with food needs. Your contributions will help us meet the needs of these people. FOR EVERY DOLLAR DONATED WE CAN PURCHASE 7 POUNDS OF FOOD!! Fellowship Hill Ministries P.O Box - 96 Springville, NY 14141. To purchase: We accept cash, check, or TRADING BUCKS. that are appropiate or resale. 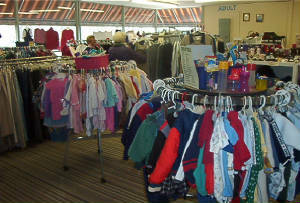 QUALITY OF GOODS- It's our goal & mission to provide quality clothing and necessity items for our cusomers. TRADING BUCKS- Your credit will be tallied and available for you to use within 7 days. Available For You To Use On Anything You Can Wear Anytime Trading Bucks Don't Ever Expire! CREDIT USE- Your Trading Post Bucks can only be used for clothing and shoes, all other items must be paid for with cash or check. You can use up to $20.00 per day in trading Post Credit. There is no limit with cash purchases. UNACCEPTABLE ITEMS- All items that do not meet our requirements of trade will be donated to charity. We are always looking for Christians who have a heart for outreach and those who are willing to lend a hand! 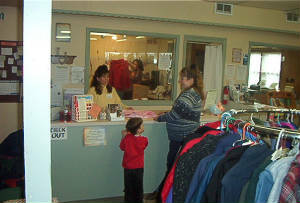 Our volunteers earn $5.00 per hour in Trading Bucks. If you are interested please call our office at 592-4455. HOME SKILL programs and workshops taught primarily by Volunteers and Church groups that have a heart for outreach! How to get 25 hrs. in a 24 hr. day! Boundaries-it's OK to say NO! What life lessons do you have to share? ?